For this part of the 2nd Gen. Ryzen reviews, we have the Ryzen 7 2700 and we’ll put it up head to head against the first generation Ryzen 7 1700. 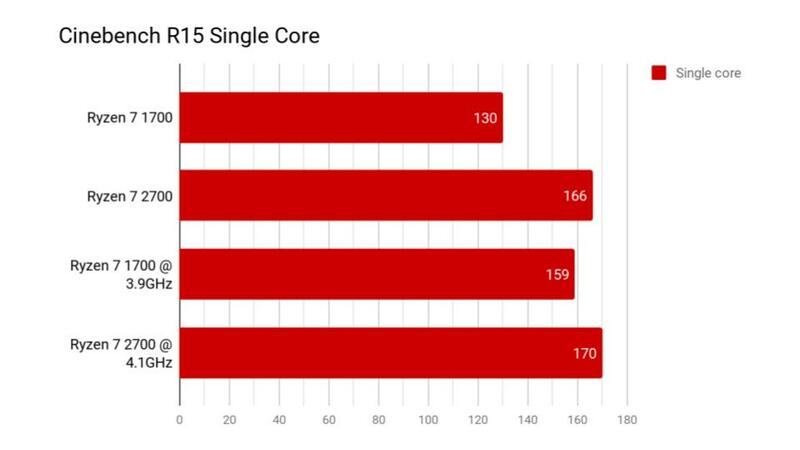 Just like it’s predecessor, the Ryzen 7 2700 is an 8-core/16-thread CPU but only with higher base clock of 3.2GHz and a boost clock of 4.1GHz. It also has the same amount of L1, L2, and L3 cache, and also same TDP (thermal design power) of 65w. Just like with the other 2nd Generation Ryzen processors, this uses the much refined 12nm CMOS die technology which allows it to have higher clock frequencies out of the box. Just like the Ryzen 7 1700, the Ryzen 7 2700 also comes with the same 95w TDP Wraith Spire with RGB LED. That box cooler is actually beefy enough for a decent overclock but ofcourse, getting an aftermarket cooling solution is recommented for better overclocking headroom. 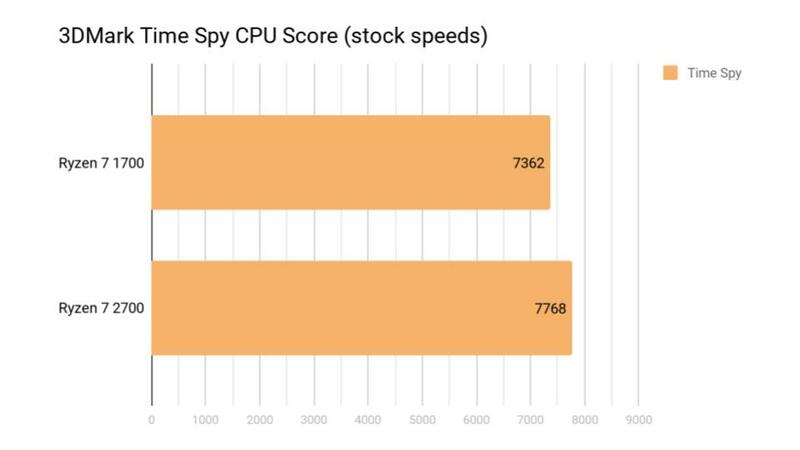 The Ryzen 7 2700 has a higher clock speed than the Ryzen 5 1700 out of the box and we were able to push it up to a stable 4.1GHz with 1.395v on the CPU core voltage using the latest version of the Ryzen Master Software. The Ryzen 7 1700 on the other hand can only go up to 3.9GHz on 1.42v on the CPU core voltage. 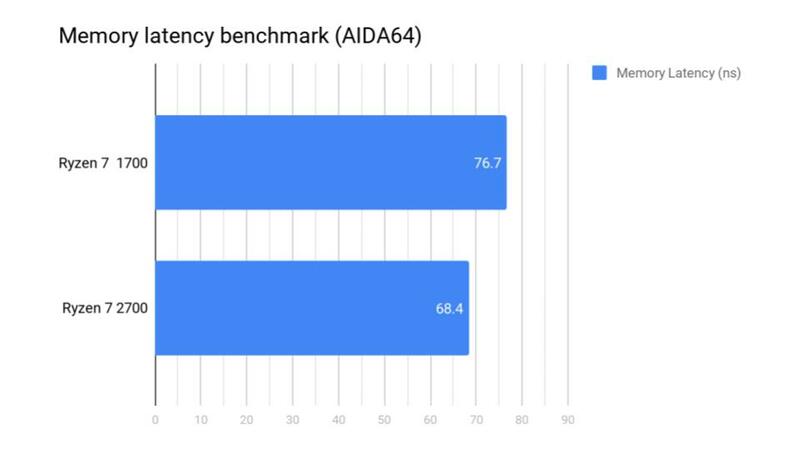 For the benchmarks, we will do a series of tests with different applications to see what has improved with the Ryzen 7 2700.
and when both are overclocked to their maximum stable clock speeds, there is a 6% difference between both processors. The difference between a stock Ryzen 7 1700 between the Ryzen 7 2700 at 4.1GHz is around 30%. 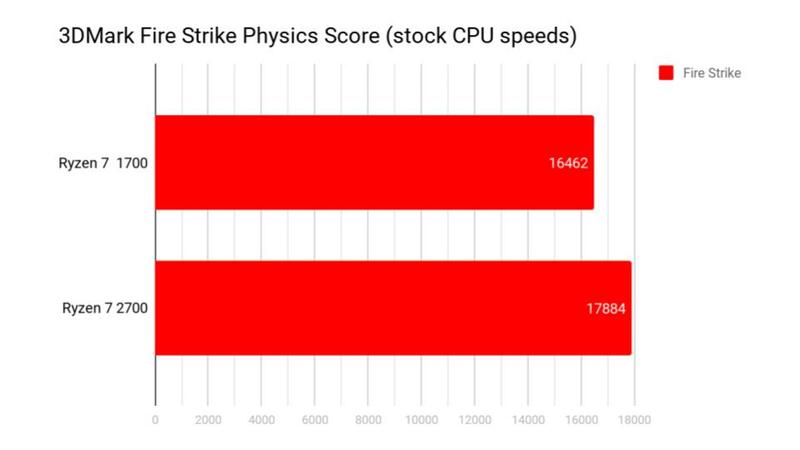 but there is a 32% difference between a stock Ryzen 5 1600 and the Ryzen 5 2600 at 4.1GHz. 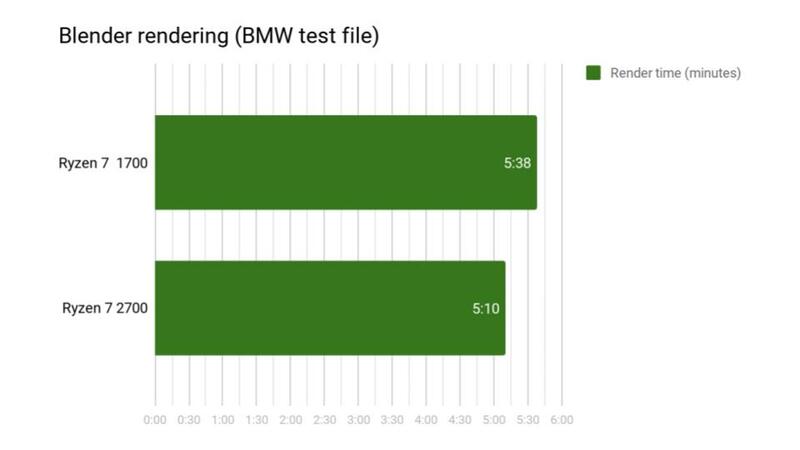 Both CPU scores show that there is at least an 6.5% difference in performance between the two processors. 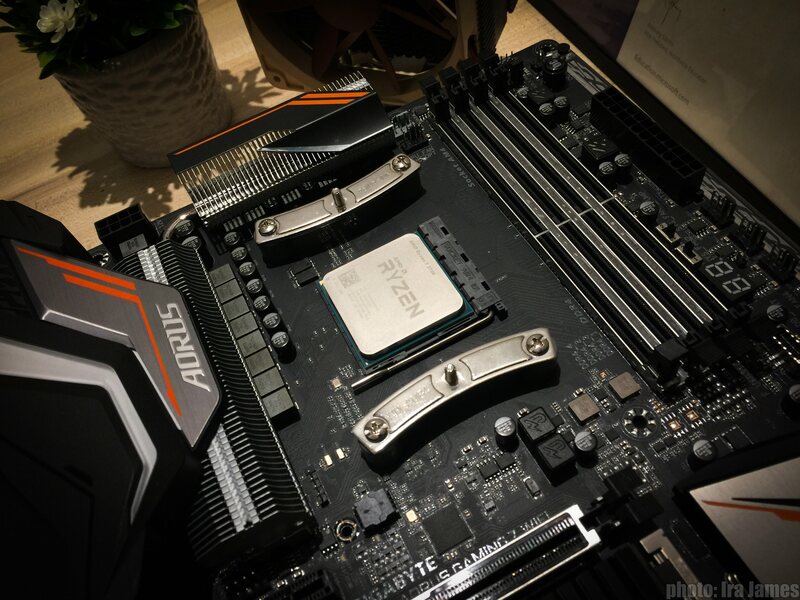 With the second generation Ryzen 7 2700 and it’s improved memory compatibility, we were able to utilize up to 3600Mhz of dual channel memory without flashing a single new bios on both X470 motherboards that we have on hand. Everything is refined out of the box unlike when the first generation of Ryzen processors was released. 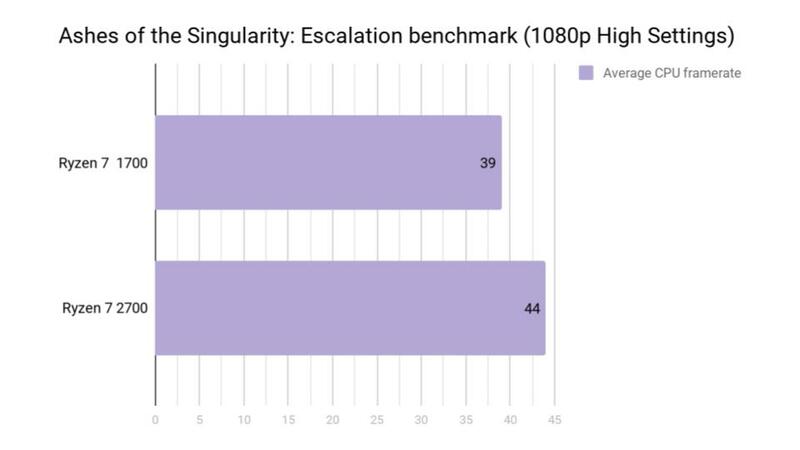 There is a lot of performance benefits in gaming and creative workloads with lower memory latency and cache latency, allowing much more smoother performance in any tasks given. 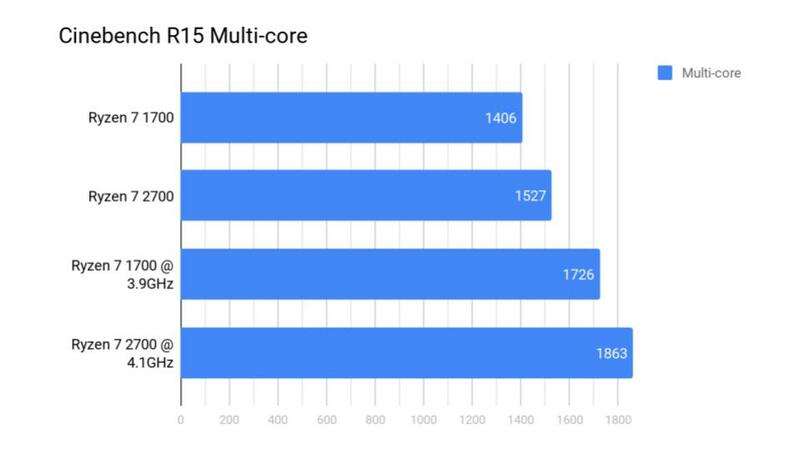 The Ryzen 7 2700 is a worthy successor to the 8-core processor line up of Ryzen CPUs in terms of performance and value: the performance and stability gains in gaming and productivity with the Zen+ architecture is made more affordable is the key takeaway.